with all time excellent service back-up. The foundation of our company “M. M. Fabrics” was laid to offer all type of Terry & Velour Fabrics. Our company is operating its entire business activities as a Sole Proprietorship based venture with its operational units situated at Tiruppur, Tamil Nadu (India), since our foundation in the year 1990. 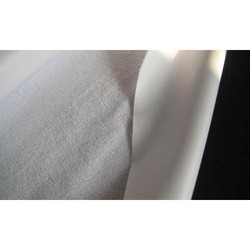 Our company is engaged in the manufacturing and supplying of products such as Terry Fabric, Velour Fabric, Knitted Organic Fabric, Double Sided Terry Fabric, Diamond Velour Fabric and many more. The products offered by us are widely demanded and appreciated by the clients for their unbeatable quality standards. Offered products are manufactured by using high quality raw materials procured from trusted sources of the market. Our testing team ensures their standing on different rigorous parameters of quality so as to make our valued customers feel contented concerning their quality paradigm.